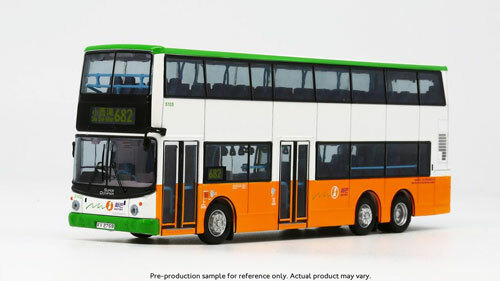 The bus - New World First Bus took delivery of 103 Volvo 'Super Olympians' during a period of just over three years. The first batch totalled forty (5001-40) and these were registered in July and August 1999. 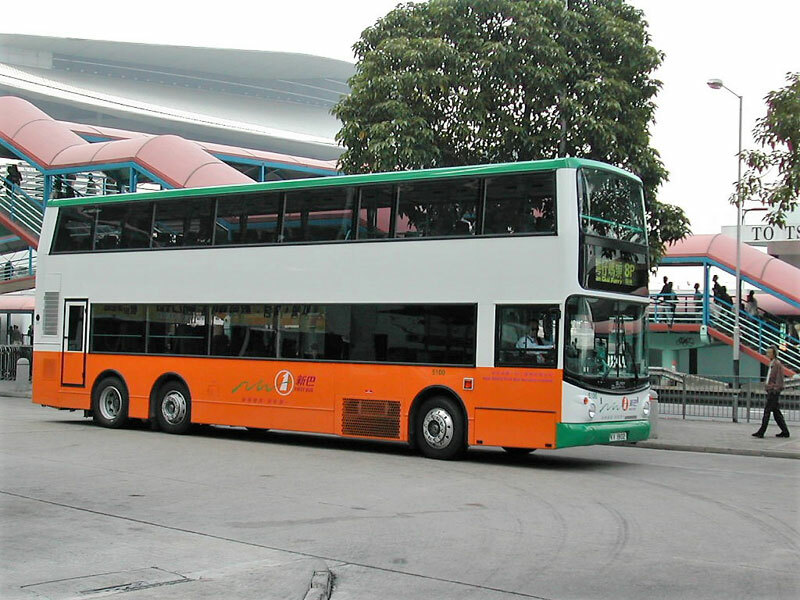 A further batch of twenty (5041-60) were registered between October 2000 and February 2001. Next came a batch of nineteen (5061-79) registered in July and August 2001 - these featured Euro III engines. 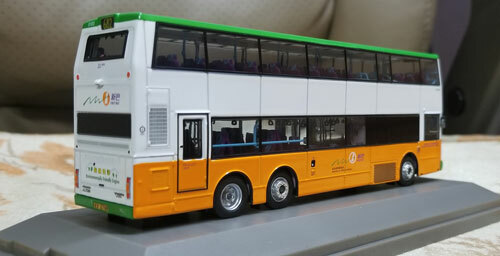 Ten more (5080-89) followed in November and December 2001. 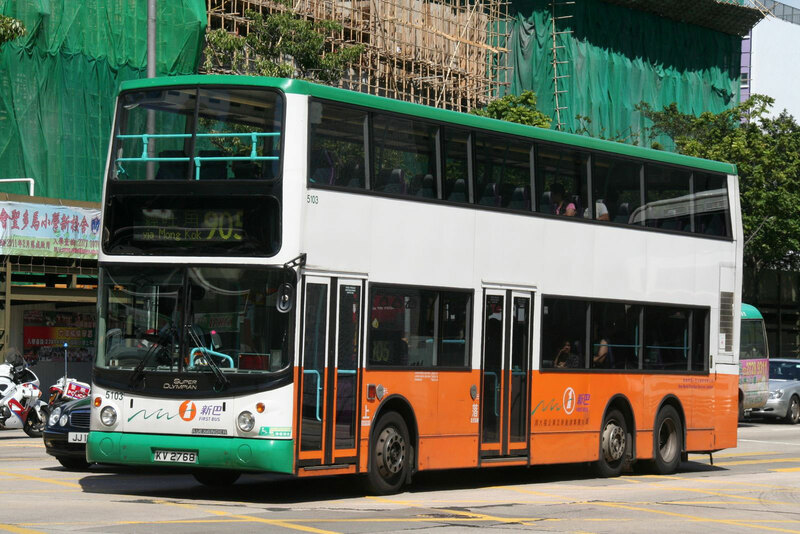 Interestingly, the first seven of this batch carried old registration numbers that had previously been carried by China Motor Bus buses and service vehicles. 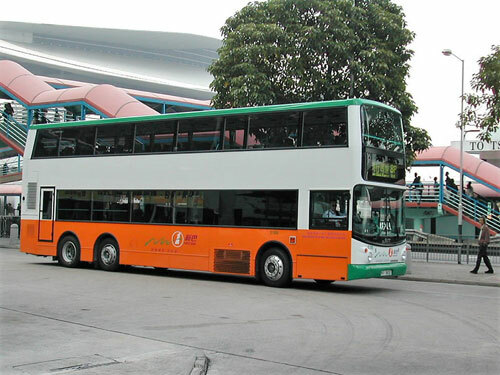 The final batch of fourteen (5090-5103) were registered in October and November 2002. 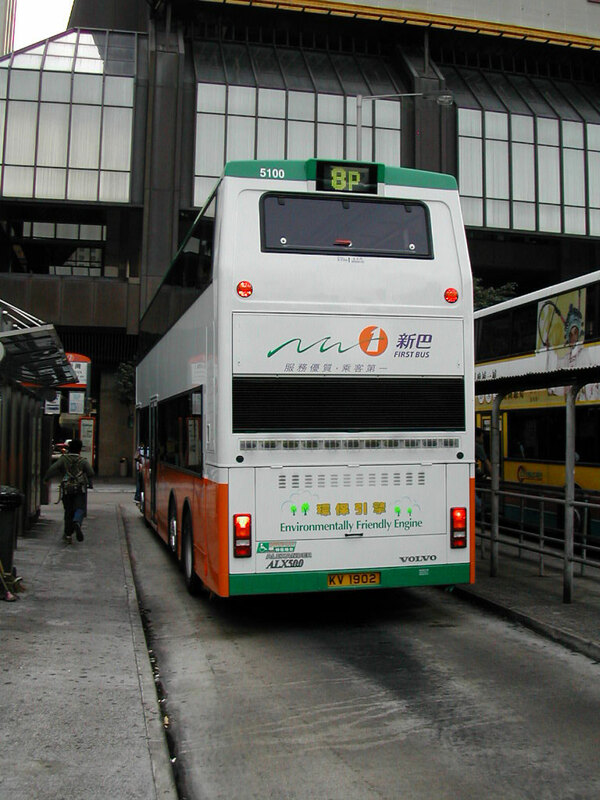 This final batch featured the rear route number box above the upper rear emergency window (see photograph below).